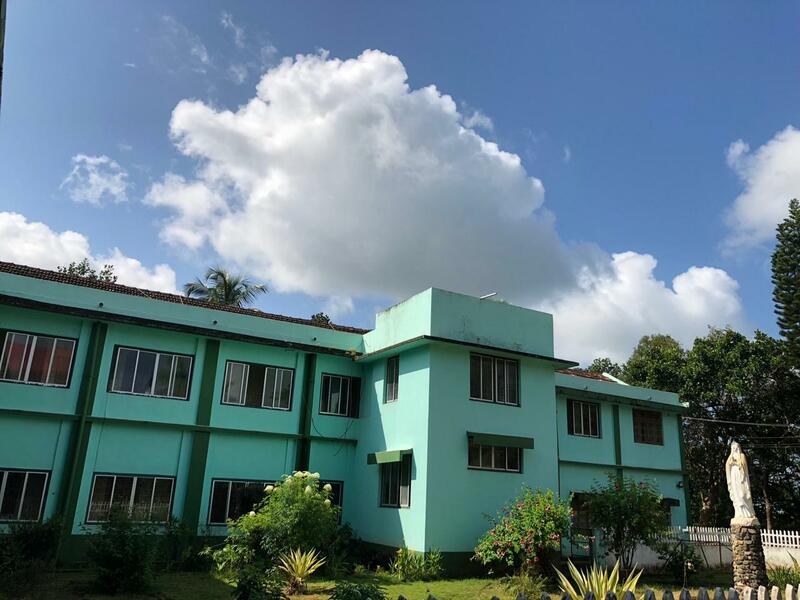 Though attempts to open a house of the Capuchins in Goa had been made since March 1936, it was only in 1941 that the plans materialized. Fr. 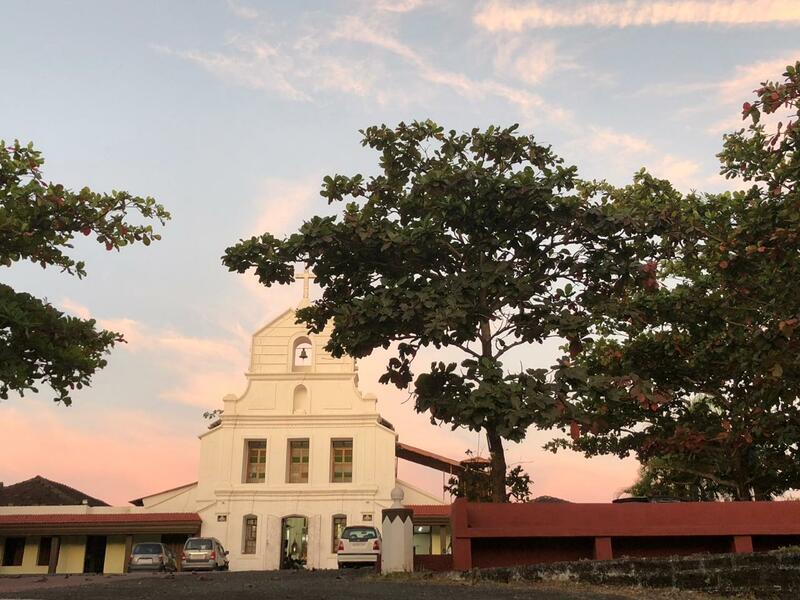 Hippolito da Luna who was the director of St. Anthony’s School and of a boarding at Monte de Guirim, approached the Capuchins, who had come to Goa in 1941 and were staying on the outskirts of Mapusa. He offered to hand over to them the English medium school, boarding, chapel and the adjoining property on the hill, since Monte de Guirim had a long Franciscan history behind it, the offer of Fr. Luna was accepted by the friars. They took over the school in April 1942 and laid the foundation of the new friary in 1943. In 1945 the house was canonically erected. The school upgraded to a high school secured recognition from the Bombay University in June 1946. Since the number of boarders and day-scholars steadily increased, new buildings to accommodate the students and boarders were undertaken. Though education is the main activity of the friars, they are also engaged in preaching the Word of God, spiritual assistance to the SFO, other pastoral ministry in the close by chapels and parishes and also function as chaplains to several convents in the neighbourhood. A social welfare centre was started in 1976 at Guirim and in 1977 one more at Sangolda. Now they are under the care of sisters. Main ministry:- Ministry of presence, ministry of the Word of God, SFO, ministry of teaching, ministry of education, National Open School, boarding ministry, mass media apostolate. At the moment the Provincial (head of the capuchins in Goa) resides here.